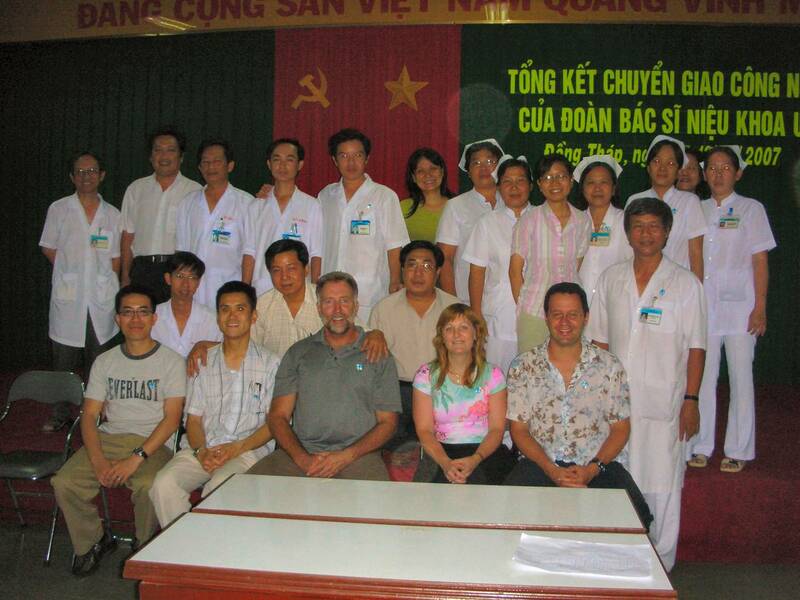 Between 2007-09 Dr Louie-Johnsun coordinated teams of Urologists on three visits to rural areas of Vietnam in the Mekong Delta (Cao Lanh [Dong Thap Hospital], Sa Dec ,Tap Mui) for volunteer medical aid. There were also visits to large teaching hospitals in Ho Chi Minh City. The primary goal of these visits was to not only provide equipment to under resourced rural areas to enable minimally invasive surgery but to also train local surgeons to continue to perform these procedures. 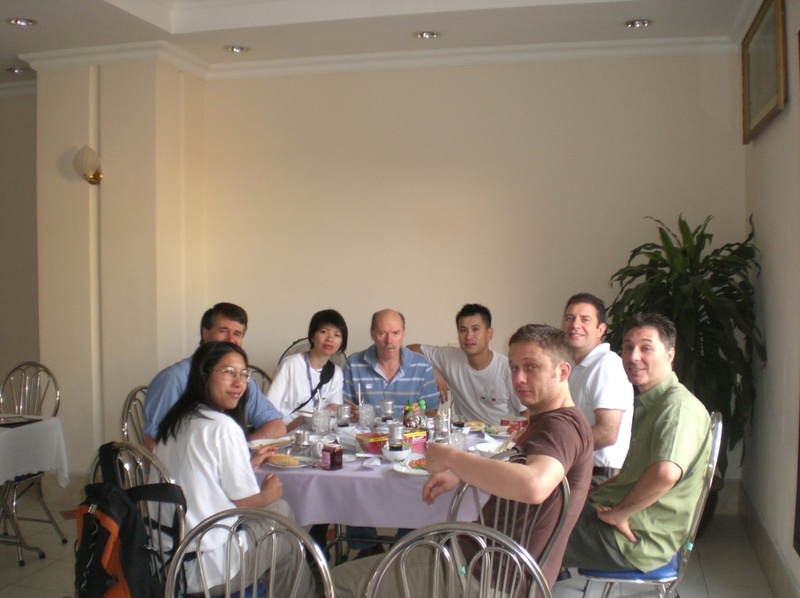 Our hope is to continue to have teams of Australian Urologists visit other areas of need in Vietnam. 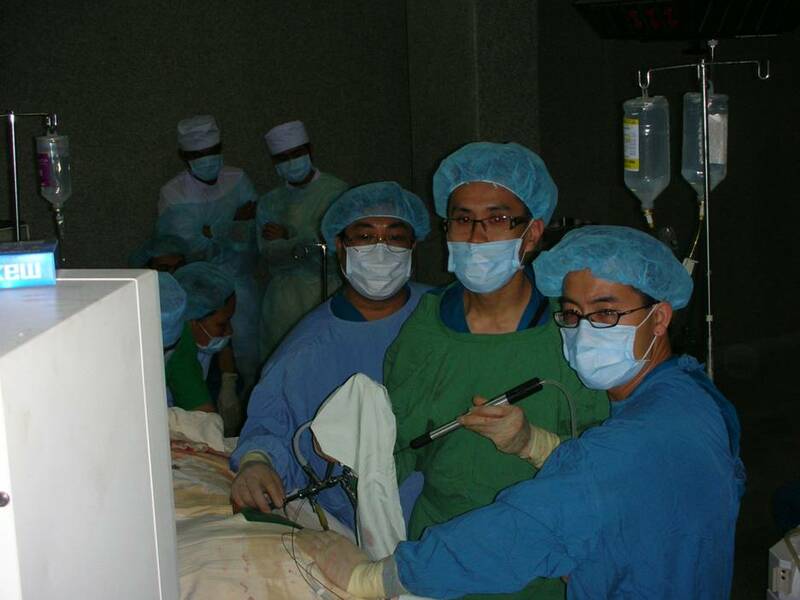 Dr Louie-Johnsun performs minimally invasive percutaneous kidney stone surgery with local Vietnamese surgeon.